Should You Tithe While Getting Out of Debt? Should You Start Tithing When Getting Out of Debt? Dr. Cabler: 00:01 hey and welcome to another episode of ask Jason where today I'll answer your personal finance questions. 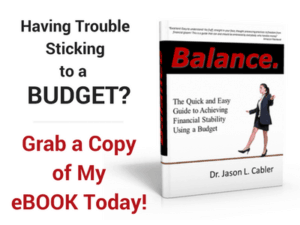 I'm Dr Jason Cabler from the celebrating financial freedom blog and the celebrating financial freedom youtube channel where I teach you all about how to manage your money better, get out of debt, make more money, and do it all from a common sense and Christian perspective. 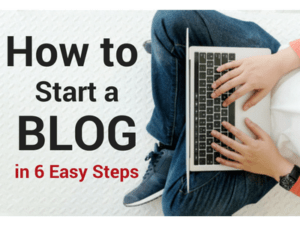 To go to the blog, just go to celebrating financial freedom.com and click the get started button on the main menu to see what it's all about. I'll leave you a link in the show notes. Also, if you're interested in managing your money, better than sign up for my free 10 day master your money email course. It's absolutely free and get you on the right track to taking complete control over your finances. I'll leave you a link in the show notes for that one as well. Okay, now let's get to the first question. Dr. Cabler: 01:43 a part time income besides getting a second job? Thank you. And God bless. Norene. So Noreen, one of the best things you can do. Well, let's, let's talk about something for your mom first sent your mom is I'm assuming a senior citizen and I'm not sure what her physical capabilities are. Um, and she may not be wanting to work full time. I can certainly understand that. So you might think about some things that I'm really might hone in on her talents. You know, she might maybe she's good at arts and crafts and with arts and crafts, that's a good. Um, believe it or not, you can make pretty good money doing that and not just maybe selling them in your local and a local shop or even in our local flea market or something like that. But if you're a mother is computer savvy at all. Dr. Cabler: 02:40 One of the great things that she can do is start a little etsy shop and etsy is the place where people go to sell arts and crafts and pretty much anything they make on the Internet and you can sell it obviously when you're on the Internet to pretty much anywhere anyone in the world and from the little bit of knowledge that I have about that, the shop is pretty easy to set up and it's not difficult to get started. And the main thing is just to be able to produce the goods that you put up on the, on your shop and um, make them for sale. So you can go to etsy.com and do that. And also I wrote a blog post over at the celebrating financial freedom blog about how to open up your own etsy shop. So I'll leave a link to that in the show notes for you so you can, um, uh, get some more detailed instructions on how to do that. Dr. Cabler: 03:38 Another thing she might be able to do if she's physically capable is maybe a clean some houses. I know a lot of people do that, especially even older women. I'm a do that to make some extra cash and it pays fairly well and you can work basically as much or as little as you want to doing that. And the great thing is that when people find out what a great job you do, a, you'll, you'll get some good word of mouth and people will ask for you. People will refer their friends to you. And, uh, you know, if you're doing a good job, you don't have as much business as you want. And, um, especially if you're really good, you can charge the rate that you want to. So it's not a bad way to go. Uh, let's say another. Well, another one that I wrote down for you is that, uh, uh, goes back to the arts and crafts thing you can go to. Dr. Cabler: 04:35 You can sell your arts and crafts on Ebay as well. That's not a bad way to go, but there are also other things you can do that, uh, are computer based from home. You don't have to have any physical capabilities such as selling overstock, uh, on Amazon.com or Ebay overstocked items that you can buy very cheaply and resale. Uh, you can also just start your own Amazon shop to where you don't even have to handle any inventory. You can buy things straight from a distributor, sell them on Amazon. You never have to touch anything, you never have to ship anything. And that's a great way to go. It's fulfilled by Amazon is the name of the program. Amazon Fba is what a lot of people call it. I've also written a blog post on that, so I'll include a link to that as well. Uh, but that's a good way to do things. Dr. Cabler: 05:28 Do something that doesn't take any physical effort. You don't have to get your hands dirty, you don't have to do, I'm a stock, any physical items, and you can make very good money doing that. Um, let's see. Let me check and see what other factors might be on the list here. Um, Gosh, you can do the same thing on fiverr. F I v E R, r.com, uh, offer services there. You can also, one of the, one of my favorites is to make money baking from home. I've written a blog post about that, about how to start your own baking business from home and sell bakery items, sweet treats, a bread, cakes, donuts, whatever you can dream up, whatever you might be good at most. Every family, most. Every mom has got some good recipes that they've handed down from generation to generation for all kinds of things. Dr. Cabler: 06:30 And that is an excellent way to make some extra money as well as in like, just like I mentioned with the other one, which with house cleaning, when you get good word of mouth and people start enjoying those treats, you can really have a good business going. And, um, make a lot of money doing that. So I'll leave a link to that, a blog post as well. So now for you norene, uh, you talk about having a job and warning to let me get back to your email here. Now you talked about having a job and wanting something minor, something smaller that you can do a to increase your part time income besides just getting a second job, which yeah, second job typically involves a lot more hours than you are to deal with sometimes a and can be very taxing, especially if you have to drive to it and have to prepare for it and all that kind of thing. Dr. Cabler: 07:25 So one thing you can do, I don't know what kind of work you do, what your talents are, um, but uh, especially if you're computer savvy, if you can do a lot of things online like a lot of people do now. Um, there are a lot of great places that you can go online to earn extra money as much or as little as you want. Places like upwork.com. And one of the great things about upwork is that you can do just about anything there, if it's, if it's, if you can make money doing it online, you people will hire you to do it at upwork. Let's see everything from let's, I've got a huge list here. I mean, they've got dozens and dozens and dozens of categories of things that you can do a, for instance, graphic design. They're small businesses out there. Even large businesses that need graphic, people that know how to do graphic design, uh, designing logos, a designing motion, graphics, photography. Dr. Cabler: 08:30 Let's see, writing. You can, there's people need copywriting, people need creative writing done. Um, people need technical writing, done for manuals and things like that. And they want to hire somebody to do that even. Excuse me, even grant writing. So even, let's see, here's another category of translation, a legal translation, medical translation, technical translation, um, translation of one language into another, a accounting services. You can do that online part time. It's a three d modeling in cad if you're in engineering or know how to do drafting and things like that. There are lots of people needing three d modeling and cad a done. Um, let's see. My goodness, there's just all kinds of stuff you can build websites for people mobile and mobile design, web design, web development, um, audio production, brand strategy. Um, my goodness, display ads, sales and marketing, lead generation, marketing strategies, public relations. Dr. Cabler: 09:47 I mean it just goes on and on. So go to upwork.com and check out the categories. I'll leave a link to their categories page so you can check all those out and there are literally dozens and dozens and dozens of those that you can check out. Um, some other alternatives to upwork that are similar and do much the same thing, but you can check out as well would be hubstaff, H U, B s, t a, F, F dot Com, Credo, fiverr, a freelancer. So there's a lot of them. I'll leave links to those in the show notes as well. So those are some good things that you can do that you can do from home on your computer typically. And I'm, so there's not a commute, there's not a lot of extra hours you can take on projects as you wish and complete them. Of course you'll have deadlines, I'm sure for those, but you can take on a smaller project when you need to. Dr. Cabler: 10:45 You can take on a larger product project when you have the opportunity, uh, and more time on your hands or you can take no projects while you, if you've got a busy season going. So, um, great things to do there to make some extra money, uh, as well as some of the other things I mentioned for your mom, you could do as well. So there is always something you can do. There's, there's plenty. Okay. Norene, I think actually, I think noreen had another question. Let's go back to her other email and see what that was. So Noreen, other questions she says, sorry, I've got another question. There are so many things to save for retirement emergencies, future, a future car, etc. Do you have a suggested savings maybe based on priority? I look forward to your next video and thanks again norene. So noreen, when it comes to saving, there are a lot of things that you shoulD consider and the number one thing is, is the number one thing is that you've got to have a plan. Dr. Cabler: 11:53 And so if you don't have a plan, your, your savings is going to be a very haphazard if you do it at all. And, uh, one of the things that you have to do is, let me get my notes here. Um, the, the number one thing that you have to do first is make sure you're doing a budget. Because if you're not doing a written budget every month, you don't know where all your money's going. You really don't have a solid clue as to where your money's flowing, how it's flowing in and out of your life. And so that's the absolute first thing you gotta do. So then when you have a budget, basically your savings comes down to a line item in your budget. And there are many things that you can say for a that you can account for in your budget. And the first thing that I recommend is that you have an emergency fund. Dr. Cabler: 12:47 Get that emergency fund built. Uh, the first thing I recommend is a small emergency fund, typically about a thousand dollars and once you get that built that that's a primary savings that you can, uh, if you have an emergency come along, that's going to take care of most emergencies for you and it's really going to set you up better so that you can save more money in the future. Especially if you're getting out of debt. That's the first thing I recommend is to. Because when you have a proper small emergency fund in place, then it's much less likely you're going to get derailed in the get out of debt process. But once you, once you have that in place, once you have a good emergency fund in place, then you've got to think about including other things in your budget such as saving for retirement, saving up for your next car. Dr. Cabler: 13:45 I'm saving up for christmas. That's. This is the time of the year. Actually. I'm recording this right at christmas time and one of the smartest things you can do to prepare for christmas. It starts saving for christmas in january. Start a savings plan so that you're saving a little bit every month and then when christmas rolls around, it's not a surprise, you're not struggling to come up with the money for christmas. It's an easy way to approach it. And I've been doing that for so many years now that christmas is christmas spending is just automatic now it's there, it's in a, it's a habit in cash and it's ready to go when christmas rolls around. Easy peasy. So same thing for a car. And um, you know, if you're, if you're not saving up for your next car, you know what happens, you end up with a car payment and you usually end up with more car payment than you want, which in my opinion, a car payment period is, is more than you need. Dr. Cabler: 14:47 And um, because you can always pay cash for a car and there's an. Anybody can do it. I don't care if you're poor or rich or what you are, you can pay cash for a car. I'm not going to get deep into that. But, um, and uh, you'll find if you'll search for that on my website than on the celebrating financial freedom site, you'll find plenty of articles on how to pay cash for your next car. So, but that's something you need to be saving for. But as far as priority goes, it should be emergency fund, it should be your next savings priorities, should be retirement and saving for your future. And then pretty much everything else comes after that. Um, but definitely car you transportation would be high on the list. A saving for vacation, uh, would be further on down the list. And uh, really the needs come first and what I'm talking about needs, I'm talking about saving for your future. Dr. Cabler: 15:47 Um, that's, that's really a need that you'll have, future need that you'll have. So that's got to be high on the list, um, but you'll want to prioritize those according to need. And then after that, according to watts. So we do the same thing. And uh, as I was talking about, we save up for our vacations every year. We don't spend, we don't use credit cards. That's how we have to take a vacation, we do it with cash and we save up for it by putting some back every single month. Dr. Cabler: 16:52 and let me move some things around on the desktop here. I want to talk about our awesome sponsor, personal capital. You know, I believe one of the most important things you can do for yourself financially is to have a system for organizing your finances. Uh, like the budgeting I was just talking about because for most people, getting organized is not an easy thing to do with your finances. In fact, being disorganized is one of the most frequent problems people telling me they have when it comes to their finances. And that's where personal capital really shines. Personal capital is a really cool free tool you can use to get your finances more organized than you ever thought you could. The best part about the whole thing is that it's really easy to use. Basically, it's an easy way to set up a personal dashboard that contains all your financial information at a glance in one simple dashboard. Dr. Cabler: 17:50 You can see everything from your investments to how much credit card debt you have to how much you owe on your car and what your balance is on your mortgage. You can even see how much you have in your checking and savings accounts and savings accounts in real time. Personal capital also has some really neat tools you can use to analyze your finances and see where you can do better. So why is all this important? It's because when you know your entire financial situation, you can make better financial decisions and better financial decisions ultimately means more money in your pocket. I personally use personal. I'm sorry. I personally use personal capital to track my net worth and my investments and it helps me get a clear picture of all the moving parts. 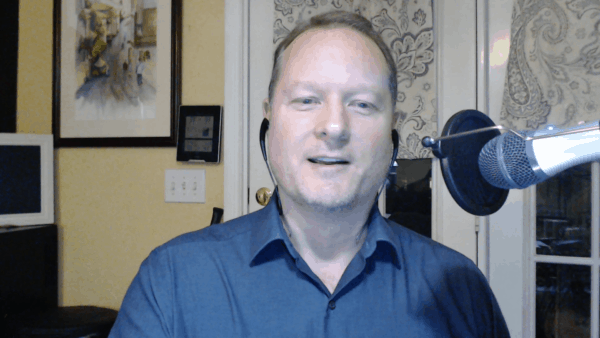 In my finances, since I can see everything in one easy place, so if you want to finally get your finances working like a well oiled machine, click the link in the show notes and sign up for your free personal capital account. Dr. Cabler: 18:56 It only takes just a minute to sign up and about 30 minutes or so to add your financial information, you'll be amazed at the power of the personal capital to help you manage your money better. Question #3: Anonymous- Should You Tithe if Your in Debt? Now let's get onto the next question. So in the next question is a very simple one and it's they, it's from an anonymous emailer and they asked should you still tithe in if you're in debt? And so that can be kind of a loaded question. a lot of people have very different opinion about that kind of thing. Um, so let's start with what exactly asking that. Let's ask the question, what exactly does tithing do for you? Why should you be doing it? Why should you not be doing it? You know, there's a big argument there amongst a lot of people. Some people say that the tithe, that's Not required. Some people say that it's absolutely a requirement. Dr. Cabler: 19:56 Um, I'm not going to get into that. That's a, that's a huge question for another day, but let's take a look at some of the promises that are made when it comes to tithing and what the benefits of tithing are. So let's start with the age old verse malakai a nine. I'm sorry, malakai three, nine through 12. You've probably heard this a thousand times and, but it still rings true every single time. It's god's promises for what happens when you're a tither. And we're actually going to start with verse nine that says, uh, it's basically, it's god, it's, uh, he's, he's addressing Israel, the entire nation of Israel. But keep in mind this verse, these verses also apply to the individual as well, not just the whole nation of Israel, but to you as an individual as well. And it says he's talking to the nation who had not been tithing as they were supposed to, and it says, you are under a curse your whole nation because you're robbing me. Dr. Cabler: 21:11 They're robbing god. That's there's no way that can be a good thing. Uh, if you are robbing god, so keep that in mind. Bring the whole tithe into the storehouse that there may be food in my house, test me in this, says the lord almighty, and see if I will not throw open the floodgates of heaven and pour out so much blessing that there will not be room enough to store it. I will prevent pests from devouring your crops and the vines in your fields will not drop their fruit before it's ripe, says the lord almighty. Then all the nations will call you. blessed for yours will be a delightful land, says the lord almighty. Now think about these promises when you're a tither, god says, test me in this. If you'll just do this one thing, here's what I'm going to do. I will throw open the floodgates of heaven and pour out so much blessing. Dr. Cabler: 22:07 There will not be room enough to store it. Think about that. Not only will you have enough, but you'll have more than enough. You will have more than enough. You will have an abundance. That's the definition of been an abundance as having more than enough. now, what can you do with abundance? When you have more than enough? Over and above, you'll have more money to pay off debt. You'll have more money to give and make other people's lives better. You'll have more money to make your life better, especially if you're just scraping by and you've got a lot of debt. So that's something that is a huge benefit that comes to tithing, that comes from tithing. Even if you're in debt. Now in verse 11, look at this, I'll prevent pests from devouring your crops and the vines in your fields will not drop their fruit before it's right. Dr. Cabler: 23:05 So think about that. The things that you're working on, the projects that you have going to make your life better, whatever it is you've got going, god will make sure that it is not devoured. It is not, it does not go to waste. That those efforts don't go to waste. So in that you know, they talk about it from an agricultural standpoint because that was what was common back then, but these days it's what you're working out and it's those seeds that you've planted that are going to make your life better. He will prevent the pests from devouring them And he will make sure that they've, those seeds grow and they prosper and that there is a harvest for those seeds and it says in the vines in your field, when not drop their fruit before it's ripe, and so it that's saying that your projects, the things that you're working on will come to fruition. Dr. Cabler: 24:02 They will not be stopped and and stunted. They will come to full fruition and they will benefit you and every way that you're looking for them to benefit you. So that's what tithing does for you now. But when you're deep in debt and you're just barely scraping by, it's hard to live, man. It's hard to come up off of 10 percent when you barely can't, when you can barely pay the bills. So how do you reconcile that with giving away 10 percent of your money every month? Well, first of all, you got to recognize god has given you the ability to make that money, even if it's a little. If it's a lot, it doesn't matter. He's given you the ability and he's opened up your abilities to be able to make that money. Now, when it comes to debt, you know, let's think about it. Dr. Cabler: 24:58 That's not quite being a really good steward of what god has given you, especially if it's consumer debt, like credit card debt and car debt and and whatever else. Those are just not good ways of using your money and so god's not gonna typically bless you for that, but when you're doing the things that there's nowhere in the bible that speaks well of debt. So keep that in mind. But also he makes these promises about tithing and he didn't specify. He doesn't say you should be tithing if you're out of debt. He doesn't say give it a little bit of a tie that if you got a lot of debt, there's you know there are no qualifications, there are no ifs, ands, or buts. When it comes to tithing, now god does give us freewill and under the grace that god has given us in the new testament, a lot of people will say things. Dr. Cabler: 25:57 Tithing is not a requirement, but there are a lot of people out there that says it is. I'm not going to get into that whole debate, but other than to say there are huge benefits when you are a tither and they are listed right here in the bible and they are listed not only in these verses that I just mentioned, but in other verses as well, so when you're a tither, god is going to make sure that you prosper. He's going to make sure that you have more than enough. Now what can you do with more than enough? 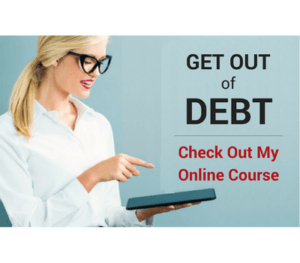 You can pay off debt. Yeah, that's right. Now, if you're a tithing and you're deep in debt and you're just barely scraping by, but you're paying that time, one thing you to realize is that you cannot get an attitude about it because you may not see immediate benefits to that. Dr. Cabler: 26:54 Tithing. You may not. He may not provide that abundance for you exactly when you want it or exactly when you think you need it. And so if that happens, you cannot get an attitude about it because when you're, if you're giving a tithe and you got an attitude about it and you're saying, what could I have done with that money? I could've, I could've paid this bill. I could hAve paid that. Bill could have paid off some debt. Then that the timing is really of no benefit to you because, uh, when you have an attitude, when you're under compulsion, when you're complaining about it, it's as if you didn't give it all. So keep that in mind and, but just remember that if you're a tither, there are benefits that come with that. And I know from what I've seen in my own life and from what I've seen in the lives of others, is that typically, even if you're in debt and you're still a tither and you're making an effort to pay off that debt, it, it's crazy how it works. Dr. Cabler: 27:55 It just doesn't make any mathematical sense, but you end up paying off that debt a lot quicker when you're a tither. It doesn't make sense at all because you're only working with 90 percent of the money that you would have if you weren't a tither. Um, and if you're putting, if, and I know the, the, the way the numbers work, you could probably possibly pay off the debt quicker if you put that extra 10 percent toward debt instead of toward tithing. But when you're, when you take that 10 percent and you use it for the debt, instead of the tithing, you limit god's ability to bless you because he's, he will not open those doors for you because he can't because he promises he will do certain things when you type and when you're not tithing, then that door is close to you. Um, he will not provide you with the abundance and the protection that comes with tithing so that, that is not available to you as it is when you're tithing. Dr. Cabler: 28:58 So I'm not going to tell yoU what to do. That is your decision. That's a decision you have to make in your own life. But I will tell you from my personal experience, tithing has benefited me in a huge way. Tithing has made my life more blessed, not just financially, but in every single part of my life, in my relationships, and the amount of peace that I have on a daily basis. It has, it takes down my stress levels. Tithing makes me more compassionate toward people. uh, it makes me more generous toward people and believe it or not, you know, I give over and above the every year and it just seemed that the more that I give away, the more I make, the more I have available. And it's crazy. The numbers don't work, but god's math is different. So always understand that. But so when it comes to tithing, it's your decision as to whether you do it or not. Dr. Cabler: 30:02 But just understand the ins and outs, the benefits and the that come with tithing and the non benefits that come when you don't tie. Okay, so that about wraps up this episode of ask jason, I hope you came away with some information you can use to make your finances better. I've left. I've left some links in the show notes to the blog posts and other resources that I mentioned in the show. If you have questions you'd like me to answer for you, simply shoot me an email with the dress at the email address in the show notes, or just leave a comment below and maybe I'll answer your questions in the next episode. Until then, have a great week. Be blessed and I'll see you soon.